In my real life the other day someone asked if I ever got bored writing my blog. She said it had been going for so long, "haven't you said all you wanted to say by now?" Erm, no, I'm not bored with it. It feels like a friend that I sit down and share my life with. How can one be bored with that. Besides, I'm not one for boredom, I'm not sure it exists in my world. If it does, I haven't noticed it yet. Sharing ordinary life with like minded people makes me happy. All of us together, all over the world, make hundreds of loaves of bread every week, we make beds, we wipe noses, change nappies/diapers, sweep, make cheese, soap and candles and we grow food, tend gardens and chickens, as well as other livestock. We're not meeting for coffee in the mall, we're not able to pass some eggs over the fence. The best we can do with our geographical isolation and separation from each other is to blog and write about what we do. From here we send the signal out - this is what I'm doing today. Are you okay out there? What are you doing? Blogs aren't about one person. Blogs connect us. I am interested in what other people who work in their homes do. I want to know how you spend your day, I want to know your routines, I want to look at photos of your home, family and meals. I want to share your celebrations and challenges. Seeing how you work, understanding how you made your home productive and comfortable, motivates me and makes me want to work alongside - even though we're far apart. It reminds me of an Amish barn raising. Alone, it's too difficult, but together, when one friend joins in and another comes along, then another, we all move forward, some faster than the others, some doing it differently, some remaining traditional, some learning, some teaching, but together we raise that barn. We all know that not every day is a good one. When crops fail, when people and pets die, when it rains for days and doesn't let up, when the cat vomits on the kitchen floor, when we feel tired and today it's just too much, those are the days when sharing the load with others keeps us going. On those days I look for the blog with the perfect loaf of bread, or a baby taking her first step, or chicks hatching or any blog where I see the good life is being lived. If it's still out there, I know it will be back at my place soon and everything will be right again. So no, I haven't said all I want to say yet and I'm not bored. Okay everyone, let's get the barn up again today. So lovely Rhonda Jean. My son is here next to me at 9pm South Africa time and I read your blog every night on my iPad. He asked why I read someone's blog when you live in another part of the world. I told him your words are beautiful and encouraging and they help me focus, give me ideas and show me that there is still lots of good amongst mankind. He liked that explanation. Have a good day! I wonder if the person in your real life who asked if you are bored writing your blog reads your blog regularly. Not once have I ever sensed any boredom from your words. To the contrary, your posts give me energy all the time. Even though we can't be with one another in person, I look forward to sitting down a few minutes with you and the other posters. It feels so good to me. I'm okay today - been to Aldi's, crocheted a bit, washed a few clothes, changed the bed, wiped up cat throw-up, and planned next week's menu. 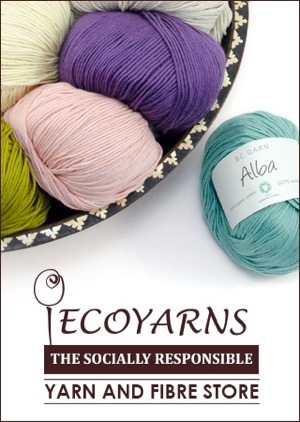 Later I'll cook supper and then off to a meeting with friends who gather at our local yarn shop each Wednesday night. I'll do my part in raising the barn, Rhonda. Have a great day and I'll "see" you tomorrow. How could creating something new every day (or a few times a week) be boring?? Blogging might be the most exciting thing I've ever done because it not only connects me with people all over the world, but it also gets my neurons firing in new ways, challenging me creatively, forcing me to learn different things and better ways to tackle projects. What a great post! I don't comment here often, but I felt like today was a day to do so. Like you, I don't get bored blogging, and I don't get bored reading like-minded bloggers' posts. I rarely get bored at all. There is just so much meaningful work to do at home. If anything, I need more time to do all the things I would like to do -- not more (or different) things to fill my time. Oh, I love this so! And this connection with like-minded people despite geography, ethnicity, and so many other variables is why I write a blog and visit others in this virtual way. It is so true that seeing someone else plugging along gives me the strength to keep going, too!! Wonderful post Rhonda, you are such an inspiration, what would we all do without your blog, i love to be inspired to look at the way other people run their lives, so many ideas out there. How could you ever be bored so much to plan and think about making life better, richer, simpler. Bored of blogging? That is like asking if you are bored from chatting with friends all over the world. There is so much I want to do and be that boredom does not enter the equation. Today I have made our lunches and taken a frozen pack of beef curry out to thaw for dinner. Now we are on the train on our way to work in the city. The wonders of modern technology mean that I can write and send this while travelling. I have also read some blogs and written an email. When my working day is over I shall have another 75 minutes on the return trip to relax. I will plan our menus for the next few days - keeping in mind what we have available as I am trying only to shop for fruit and vegetables for the next 5 weeks before we go on holidays. Then I will challenge my brain with a Sudoku puzzle or two that I have collected from the free newspaper. Finally, we will be home and I will cook rice to serve with the curry. After dinner it will be a quick tidy of the kitchen and some clothes to fold before I sit and do some more unpicking of second-hand clothes which I intend to refashion for my grand-daughters. I love your blog and read it everyday. I appreciate the way you write. I have tried to buy your book. I can not seem to get it in the U.S. I will keep trying. I love how it feels to read your 'day to day' life. You are about my age and I admire the things you do. I wonder how you have learned so much...like making cheese, etc. I have not found it easy to learn such skills. I am having trouble finding the website with the heritage chickens that you have on your site, do you have a supplier close here on the coast, if so could you help me with the details of these people and the Heritage chooks, I'm looking at getting some more chooks. Matt, there are no chicken people on the coast that I can recommend. Julie doesn't have a website but you can email or call her. Those contact details are on her ad. Hello Roxie700. Hope you're having a lovely day. 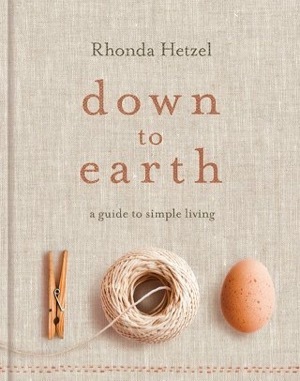 I've seen Rhonda's book on ebay (an Aussie seller) and at Borders website. Hello Rhonda. I love reading your blog daily and click on in the morning when I have my first cup of tea of the day. 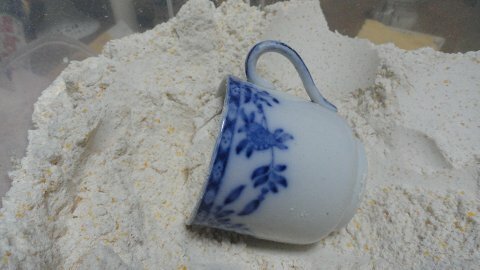 I was really taken with the cup in the first photograph, in the flour. It looks rather special. Best wishes from Jean. Your words about never being bored resonate with me. I so agree! Life is so exciting, with so much to do, try and learn. Boredom doesn't cross my mind. Hello Jean. yes, it's a lovely cup, isn't it. I found it in an antique shop and bought it for a couple of dollars. There are no marks on it and I think it's from the early 1800s. It's too beautiful to have it sitting in a cupboard though. I prefer to use what I have. My late Dad was a great ham radio buff, I grew up thinking it quite normal that my father spoke English or Esperanto to people around the world, and that we "knew" people in all corners of the earth. They'd send their radio signal cards and Dad would send them his, Dad would keep us updated on how they were going. How he would have loved blog connections! I have been reading your blog for a while now. I never tire of reading the words you write and I enjoy reading the old posts also. I am always learning and gaining support from all that you share. Thankyou for your continuos uplifting entries. Iron sharpens iron. I get inspired reading homemaking blogs. Working AT home the past 28 years doesn't mean I know everything. Keep on teaching ... Lord knows there is a need. Rhonda, I don't usually comment, but I look forward to reading your posts each morning with my morning coffee. Blogs really do connect us from the isolation in our homes. This week, I finally met a real life person who is interested in sustainable and simple living. I am so happy about it I wrote a post about it! 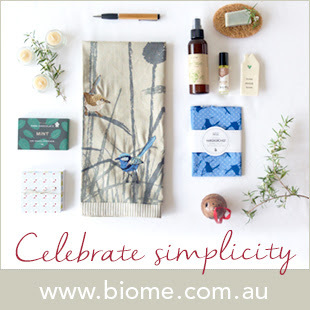 In the meantime, my like-minded sustainable and simple living bloggers are my inspiration and support and connection for ideas. I work everyday except Wednesday, so yesterday I was wondering what everybody else was doing. I vacummed mopped gave the kitchen and bathroom a good scrub, run dishwasher and washing machine (home made cleaners). 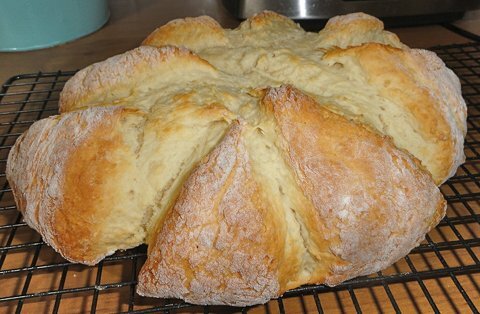 I made bread, rosemary oil, cooked lovely steak for dinner, made zucchini slice for lunch today and Friday for at work. I also went to my favorite op shop found a lovely doona cover loud colors for DS15 for $6.00. None of my close friends are doing this, however I no that Down to Earth people are. I also look forward to reading your blog every day. Today, it is school holidays, so I have all three kids home. We have made a plaster of Paris ant farm which my son got for his birthday, we are currently watching play school and soon we will head out to the library. We might stop past the shops to get some warm snow shoes for the kids. We will be going twice this year, so I think it will be worthwhile spending the money. Especially since we have plenty of cousins to hand them down to when we are finished with them. 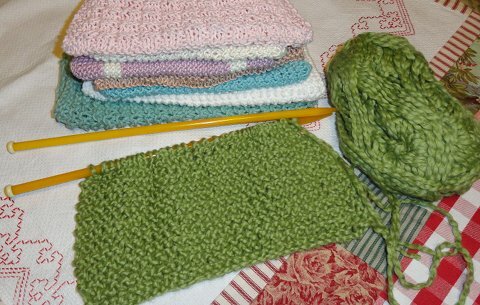 This afternoon I will do some mending, and will also do some knitting on the jumper I am making for our youngest. If I have time and the inclination, I will also clean the bathrooms. Otherwise I will do them tomorrow. I have been reading your blog for almost a year now, and you book for a couple of days. Although you and i are not that far apart in age you remind me of my grandmother and her subtle stregnth, and all skills domestic. I look forward to reading your blog when I return home each night. I know it's silly, but since I'm in Georgia (USA), your blog is always dated "tomorrow", and I can know that my tomorrow will be filled with contentment, peace, frugality, honor, love, and commitment, because Rhonda has already has already seen it and reported it so. Thank you for your daily motivation. I have read your blog every day for the past few years. Each day your calm and gentle words inspire & reassure my simple life. I'm 30 & stay at home to raise my two young boys. I cook from scratch, bake all our bread, keep chickens, etc. I'm in the same boat as Amanda. People think I'm a little crazy or that I'm some kind of superwoman too. None of my friends live a similar life & at times I feel like I have to explain why it is I do what I do. Your blog & book are a wonderful reminder that this way of living is truly worthwhile. Thank you for all that you write. In our area it is not easy to find "kindred spirits"!! So it is pure joy to find folks like you and Hanno who live a simple life and are so willing to share it here!! I wish we were neighbors!! But this will have to do. I have made some very nice friends, my closest gal pal now in my life, I have not gotten to meet yet. She lives in NY and I am in NC...long ways!! But maybe one day!! But we email and chat on the phone. 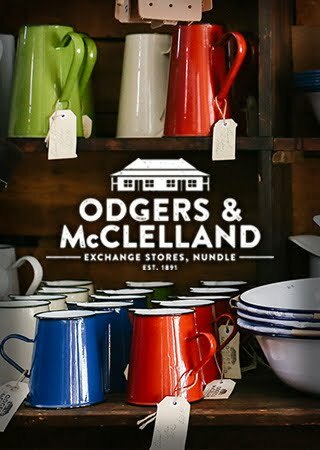 We "met" on a forum years ago that was hostessed by a lady who lived in Ballarat, Australia. She no longer keeps contact with us, but we met each other via her and we are both SO GRATEFUL!! And no, you certainly are not a boring lady and always have so many interesting things to share!! I think we must be made rather different from others who think what we like to share might be boring. And what did I do today? FINISHED finally, sorting, paring down and somewhat organizing better all my papers and genealogy notes, photos, etc. Also helped hubby with packing some things. Did laundry, made one meal, went shopping, went out to eat, met with friends for snacks and chat tonight. We are putting some of our possessions in a rented storage unit in preparation for the next part of our life now that hubby has retired. We are waiting to hear if our school overseas is a "go" or not, all our paperwork is up to date...but enough other students must apply or they cannot have it. We hope to learn another language while living in another culture. We do not own a home anymore. If that does not fly, we MAY purchase an RV and begin that lifestyle which is also something we think we would enjoy doing. If neither happens, we have a couple other ideas. It will work out. How? We are not sure yet. But we must prepare by getting our possessions in order so that when we do know, we can finish moving quickly...to whatever! Regardless of what life we begin, your blog will be helpful...you have so many ways to share and enourage us in living simply, no matter how that might be!!! And I do thank you!! 'Nothing left to say'!!! That is where boredom and being bored would start for me. I am always being told I have too much to say but I still sayit!! lol. The popularity of your blog and the posts prove that you have interesting, encouraging things to say and the comments on your posts prove that what you say is relevant to a great many people - so keep up the good work!! And keep on enjoying what you are doing because so many of us enjoy it too!! Thank you. I was feeling a little alone. I was asked a similar question a few years ago except it was why did I do so much quilting? The person couldn't understand that it wasn't doing the same thing over and over again it was the fact that I was creating something new and exciting and learning new skills, working my brain and making something that would keep my family warm and brighten my home. The questioner thought it was boring and a waste of time. While I have moved on from so much quilting (knitting, crochet and spinning my own wool seems to have taken over) the thrill each time I start a new project or complete a current one still happens. I would love to say that I get a sense of excitement from housework but that is an area I have to work on but it's getting there. My home is clean, comfortable and a haven for our family. 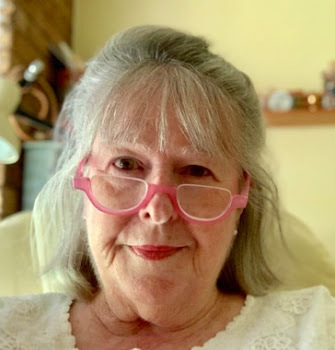 Thanks to your wise words, and the inspiration of so many others who are on a similar journey and blogging about them, I have lightened up on what I expect perfection to look like, reconnected with daily household tasks which make my home comfortable and I am enjoying the journey. I sometimes wonder if those who question why we do things and why we don't find them boring are people who are afraid to let go of what societies expectations are and just be themselves. If in fact they are afraid to try something new in case of failure. I guess in the end all we can do is lead by example - and you and so many others are certainly setting a fine example of what life can be like. Today we visited a like-minded simple living friend who is a great encouragement. Her capacity for simple seems greater than mine at the moment, but it's swings and roundabouts and sometimes it's the other way around. Our kids had a great time playing together as we sat at the kitchen table with our knitting and chatted about social justice. Now we're home and while my girls are resting I'm enjoying a cup of tea and contemplating knitting another row on a shawl for a friend. It's nearly finished, but the rows are very long now. Hopefully it might be done by the end of the weekend! Hi Ronda, I never tire or reading your blog, in fact it's one of the first things I do each morning. It's kind of like a motivator for the rest of the day. Thankyou for not being 'bored' with writing. I think the way you word things is just beautiful. I, myself, have trouble coming up with things to write on my blog as I think that perhaps my life is a bit boring to others but I must try to remember that I started my blog so that my family will have a bit of an insight in to what their mum and nanna liked to do and how she liked to live for years to come. Hi from Di again. I feel like you are my friend as well, writing about your day and simple life. I have started bit by bit. I love reading the comments as well. None of my dearest friends are like me, I have meet some new people through food swaps, I am excited as they are more like me. I sit here by my wood fire pouring rain outside. Life is fantastic. I have learnt to love the daily home life, hubby kids. Thank you Rhonda for making me think about whats important and whats not. I used to be a Nurse but had to retire early to care for my son who has a mental health disorder.He came home for care as he had unfortunately "burnt all his other bridges".Your site gives me hope and inspiration as I now utilize this time at home to try all sorts of creative things suggested-bread-making,knitted dishcloths etc.My husband built a whiz-band chicken coop and we have two happy chooks!Life is different but wonderful in so many ways now!Thanks for the inspiration! Lovely post Rhonda, thank you! I too love reading about what other people are up to, how they spend their days, looking at pictures of their homes and what they've been up to. It's 7:42 am here in New Brunswick Canada. I am reading our blog with my morning coffee today. I am feeling a bit drained, overheated (heat wave) and just lackluster in general. Whenever this happens I automatically turn to your blog. Your words are inspiring and always remind me of why I chose to live this way and how entirely wonderful it is. Even if I go back and read old blogs because I'm usually all caught up on the new, I leave feeling just as refreshed and ready to takle whatever is ahead of me. Today I will be making a batch of soap, rosemary I think as it's doing really well in the garden right now, doing some tidying and tackling the re-organizing of a 6 drawer stand full of miscellaneous mess. I'll also need to make some bread and supper and water the gardens. At this point all I feel like doing is vvrawling back into bed...I guess I'll pour another cup and keep reading!! Thanks for being you, you help me be me. Thank you Rhonda Jean for all you do. "Raising the barn" sounds like an ideal title for your next book. You have brightened my evening Rhonda with this insightful post. You always have a way with words and really there can be no better description of why we all blog. As for my daily life. Well, lately it has felt a little flat for various reasons. But by keeping on going and learning a few new things (how to cook goat and lace knitting) I am feeling enthusiasm returning. Although I have read your blog every day for a very long time now I have never been brave enough to leave a message before! However, I felt I must leave a comment today as your words this morning have moved me to tears. It was such a beautiful message, knowing that we are all connected and living this life together, although we are all so very far apart. I cannot thank you enough for sharing your thoughts and advice with us on a daily basis, like many others I always share your blog with a cup of tea at the start of every day. Thanks for reaching out, Diane. I have been reading your blog for years now and I hope you never have said it all! I look to you for encouragement when I feel like " is this really worth it" or should I just go out and buy it, or use the dryer, etc. You are my rock and I wish you lived closer so we could have a cup together every once in a while. Please never stop writing! Wonderful post Rhonda. I agree so wholeheartedly, because I often get asked the same thing. Your description is the very same reason that I continue to blog. It is like an old friend, the kind that tells interesting stories that a community of like minded people gather around similar to a camp fire. I do pop over to read your blog often, when I am not working on mine! What a wonderful way of looking at it. I love that that blogging makes the world seem just that bit smaller. Like a community. And recently we did have a bit of a (modern day) barn raising on our farm. About 10 men spend a few days a week over the course of a few months and built our new machinery shed. It was wonderful. All these men of different ages and experiences sharing knowledge and tools and literally shouldering the load. It was just brilliant for all of them and I know that my husband misses the comaraderie now its over. If only they all wrote and read blogs hey. Hi Rhonda, I am having a bad day today and i've had some critism from people that have surprised me. They have made me feel like I have got my whole way of living wrong and my priorities are in the wrong place. It was so lovely to read your post and yes I agree, blogs like yours are so lovely as you can read about like minded people and realise that our way of life is so great and only people on these type of blogs really understand that. Thank goodness for you and your blog! There will always be small minded people, and it's only boring people who get bored. You are a sane voice in the wilderness and a comforting friend to many thru your blog. Thanks for blogging and enriching our lives. It is so nice to read your blog. It really stimulates me to do things myself. Every time I am in doubt I read here and get fired up again. I get tips here that I can really use and it's a very nice idea that I'm a part of an international community, eventhough I don't see you all. Thank you so much Rhonda !! Lovely post Rhonda. I feel much the way you do about blogging and blogs. While I do understand how many times women can end up feeling inadequate when they compare themselves to others through the small lens of a blog,I personally enjoy honest blogs that inspire me. 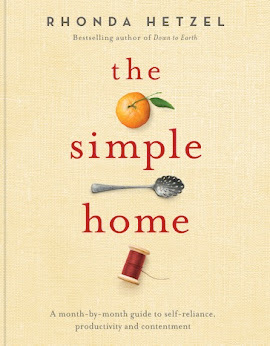 I also feel a connection with the many, many others that are trying to find a simpler way of living.I feel optimistic, inspired, and connected when I visit with others through their blogs. I try and keep my blog honest, sincere, and balanced. I want readers to know my struggles as well as my triumphs, as both are what connects us as human beings. Thank you for your earnest sincerity Rhonda, such a joy to read. Thank you for this wonderful post! I agree, the community of blogs is a great motivator for me when things aren't rosy in my life. It reminds me that other folks have made it through similar struggles, and are thriving. My husband and I just purchased a farm (which is a bit run down) and we will be working to make it our own and help it realize its' potential. I will soon be starting a blog to keep my friends and family up to date with our projects, and I will continue to participate in our virtual barn-raising to provide support and encouragement for others like me, and hopefully gain the insight and advice of those more knowledgeable. Thank you, Rhonda, for encouraging us to come together and provide our support to each and every member of our virtual (and real world!) community. I also enjoy hearing about people's everyday lives. I never find it boring even if they are just saying what food they prepared or what was on their minds that day. The connection with each other over different continents is very important to me. Oh, I do love this post! This is definitely one of those places I come for encouragement on those less than perfect days. Hard to imagine getting bored. I'm so glad you do what you do! I love your blog and am so grateful to have found it. I started reading it when mom started getting altzheimers and I needed to find a way to stay at home with her and save money. Your blog was a true gift, it felt like coming home. Please keep up the blog posts. My favorite part is the pictures...sometimes I wish they had captions so I could figure out what the food was . Jackie, yes I did make the tea cosy. It's organic cotton with wool felt flowers. If you google "tea cosy patterns" you'll find a lot of them. Dear Rhonda, Thank you for blogging as it keeps me sane in my life as do all the comments that are so supportive. My two teens left home this year to live with their father as they "Couldn't be bothered with all the 'stuff' at my house"! The stuff they referred to was looking after the chickens, walking the dogs, picking the veges, making bread every day, and generally living a sustainable, thoughtful life. They preferred hot and cold running internet, air con and tumble dryers, and 'simple' stir fries (with purchased bottled mix)eaten in their rooms with the computer or DVD playing, to the 'complex' home cooked meals I made (shock horror, they were expected to peel vegetables), eating at the table, and interaction with friends, animals, and participation in the housekeeping. There are times when I feel very low now, but yours and other blogs remind me that life is more than possessions and disposable life, and when one of the hens got broody in the mending basket it was comical and cared for rather than a drama. I hope the kids will realise what they are missing in the future, they drop in for a roast and on celebration days every so often but I feel that it will be some time before they think about how life should be sustainable rather than simply constantly consumed. So please keep on keeping on. We all need that sanity. BORED! Not a word I recognise. There are far too many things to do in this wonderful world we live in to be bored. My friends used to ask me "What do you do all day now that you are retired ", easier to tell them what I DON'T do. Rhonda, this post was beautiful beyond words. It spoke directly to my heart and brightened my day. I love this blog and I hope you never run out of things to say. I am so glad you're not bored! P.S. 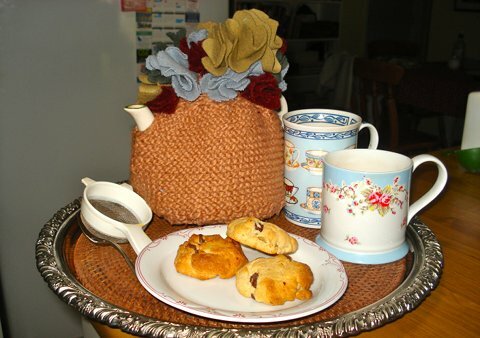 Love the beautiful tea cozy! Rhonda - wonderful post. I have been away for a few days and it felt like coming home again to read this. I have been busy with life. Bored? That is not a word in my vocabulary. It is finally summer here on the west coast of Canada and I have been very busy in my allotment garden as well as in my private oasis on my patio. The tomatoes are just now flowering and I am harvesting all kinds of veg. Today I had coffee with friends ( somehing we do most Saturdays), watered the garden, took care of a friend's cat while she is away on holidays and, with her blessing, picked beans, lettuce and chard/silverbeet in her garden. I sat in the shade there and enjoyed a cool homemade iced tea and watched my dog explore a new yard. Then home to relax. Later, I will fix dinner with my home-grown greens and stir fry a blend of chard, snow peas, onion and spinach.